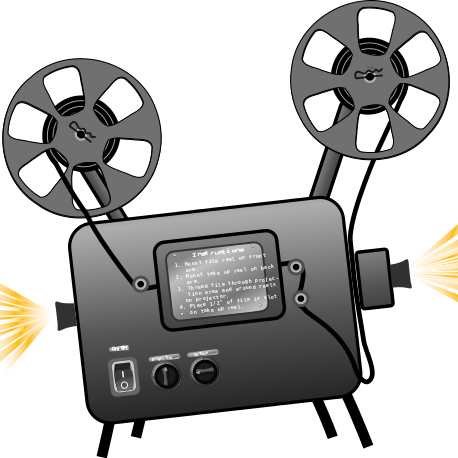 Listen to Lee's latest interview on Berkshire Wellness Radio. Learn about the brilliant mechanics of your human body and unlock the secrets that will help you live with less pain and stress and experience more happiness and calm in your life. In this 35 minute interview Lee will discuss such topics as muscle imbalances, yoga for pain relief, meditation and pranayama. Watch Lee's video and discover how changing your sitting posture can eliminate back and neck pain. .....shows you how to identify the specific muscle imbalances that may cause YOUR pain and create a safe yoga practice to rebalance YOUR body. Understand how your current yoga practice and lifestyle create pain. Learn how to practice yoga safely and achieve superior results. Design your own practice to align your neuromuscular system and achieve a pain-free body. Learn to use three tools -- asana practice, pranayama, and meditation -- for powerful benefits. Take charge of your own path to health and well-being. ....don’t let chronic pain control you! Take charge of your health today. In this book, you will quickly learn how to enjoy permanent pain relief in only a few minutes a day. 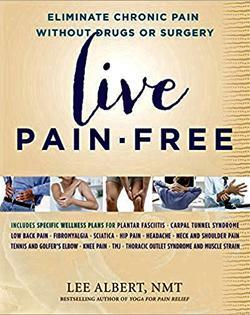 With easy-to-follow instructions and illustrative photos, Live Pain Free: Eliminate Chronic Pain without Drugs or Surgery, 2nd edition delivers simple, therapeutic self-care techniques that anyone can do. No previous experience or special equipment is necessary, and the practices are designed to fit your busy lifestyle. This book will teach you how to quickly identify the most common misalignments and get your body back into balance and back to health by using some simple techniques that you can do right now. "After practicing Emergency Medicine several years, appreciating the excellence of acute care we enjoy in this country, I became a medical consultant with a state rehabilitation commission, and came face to face with Western medicine's abysmal record with chronic pain management. Then I personally experienced migraine headaches and chronic hip pain due to an old horseback riding injury. After receiving one hour of treatment from Lee, the degree of pain relief he gave me was amazing. I told him, They never taught this in medical school “ you have to show me how you do this. Attending his workshops opened my mind to a whole new way of treating pain. Integrated Positional Therapy makes perfect anatomic sense, and has helped me effectively relieve pain in patients with fibromyalgia, migraines, tension headaches, chronic low back pain, ankylosing spondylitis, shoulder pain the list goes on and on. 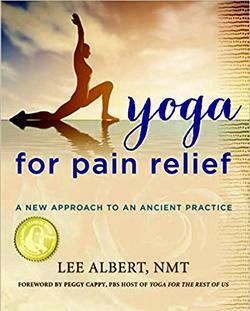 Lee Albert brings to us a gentle, noninvasive healing modality that offers a promising alternative approach to pain management." The benefits of breathing and meditation for pain relief are many. The act of slowing and deepening your breathing turns on your parasympathetic nervous system which relaxes your muscles (bringing blood and oxygen to ishemic tissue) and releases a host of beneficial neurotransmitters (primarily endorphins, our bodies’ natural pain relievers). Neuroscientists believe that stress reduction is a major component of meditation’s beneficial condition in the body. From a muscular viewpoint, emotional stress, which causes a “fight or flight” condition in the body by releasing adrenaline into the system, will make the muscles in the body tighter and more painful. Many of the common diseases in America, such as hypertension and cardiac issues, have stress as a major component. Studies have also shown that people diagnosed with fibromyalgia (widespread pain in the body) have improved by practicing meditation. You can achieve lower stress levels in as little as four to six weeks of a regular meditation practice. 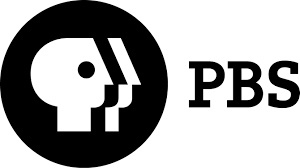 Below are several links to guided breathing/meditation videos. These would be a good place to start, however you may find it more useful to search for guided breathing exercises that resonate with you personally. In this podcast Lee will discuss muscle imbalances and the roll they play in your painful condition. Lee will demonstrate how to balance your pelvis with easy stretches suitable for most people. GOLD award for best book for 2018 in the Health/Fitness category from the Independent Book Publishers! Learn about back pain and the role muscle imbalances play. Don't just treat the symptoms of back pain but actually start addressing the cause.